Things to do in Cape Town South Africa - an insider guide! I think Cape Town is one of the most beautiful cities in the world and it is somewhere I always visit when I travel to South Africa. 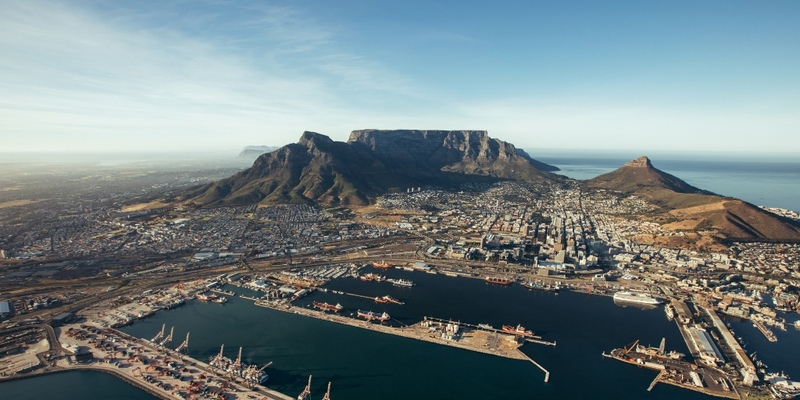 One of South Africa’s 3 capital cities, Cape Town is overlooked by Table Mountain and sits close to the southwestern point of the African Continent. It offers visitors a myriad of options of things to see and do and spending a few days in the city should be on your South African itinerary. 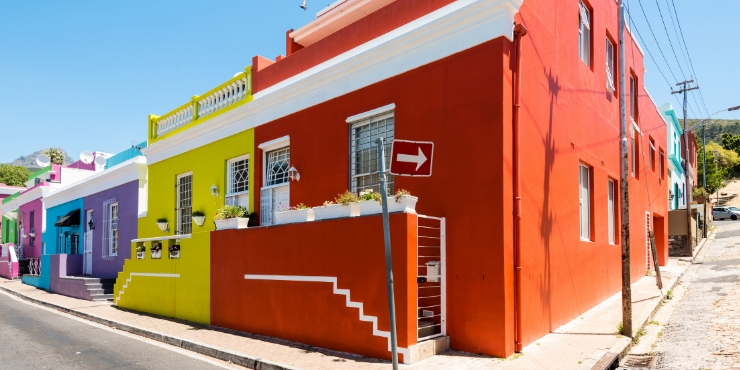 If you are planning a trip this guide to Cape Town will help you make the most of your visit. 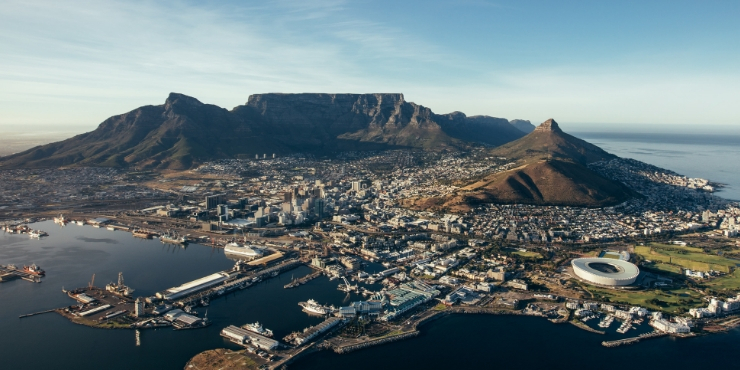 What are the top 5 things to do in Cape Town? Which markets are there to visit in Cape Town? What are the best beaches in Cape Town? What are the recommended walking trails in Cape Town? Which are the top 5 museums to visit in Cape Town? 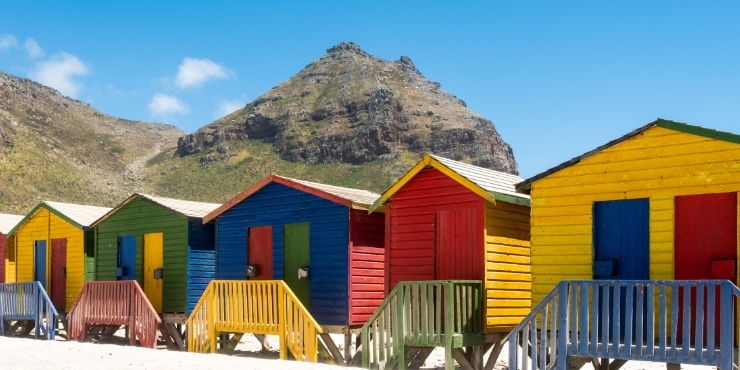 When is the ideal time of year to visit Cape Town? What should a tourist not do in Cape Town? Tips to help you make the most of your trip! 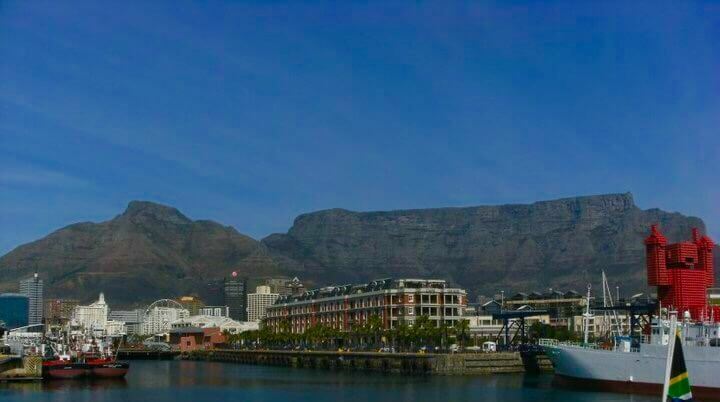 The most recognisable landmark is of course Table Mountain with its spectacular panoramic views of Cape Town. The cable car operates from 08:30 to 20:30 in summer and 08:30 to 17:30 in winter. Return tickets cost R330 for adults and R165 for children in the morning 08:00 – 13:00 and R290/R145 in the afternoon from 13:00 until close. There are long queues in summer and so it is advisable to get there early and make sure you choose a clear sunny day or you won’t see much! If there are adverse weather conditions the cable car will be closed. Look out for the dassies! Do not book your tickets ahead of the day – there is nothing worse than waking up to see Table Mountain sporting its famous tablecloth on a day you have tickets! Visit one of the world’s most beautiful gardens with striking mountain views and stunning plants and flowers all year round. 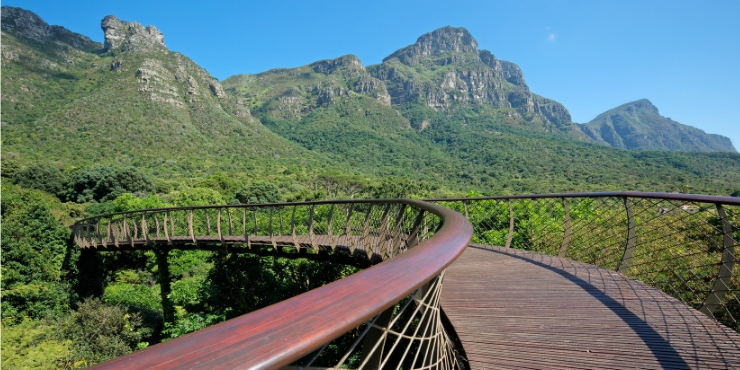 A must see is the Treetop Canopy Walkway or “boomslang” which was built to commemorate Kirstenbosch’s centenary. It is a wooden and steel structure that is over 100 metres long and there are fabulous views of the gardens and surrounding areas. Make a day of it and wear comfortable shoes as there is a lot to see. There are 2 restaurants in Kirstenbosch – the Tea Room for light meals and Moyo, an African themed restaurant. You can also take your own picnic basket. Entrance is R70 for adults and R20 for children. Opening hours: 08:00 – 19:00 in summer and 08:00 – 18:00 in winter. From November – March, there is a concert in Kirstenbosch every Sunday evening at 17h30. How to get there by car – the gardens are 13 km from Cape Town and the route is well signposted. How to get there by bus – the City Sightseeing Hop On Hop Off Bus stops at the entrance to the gardens. Buy tickets for the City Sightseeing Hop On Hop Off Bus here! A tourist destination with beautiful views of the sea and Table Mountain, the Cape Wheel, boat trips, shops & restaurants. Spend an afternoon or two browsing the shops, stop for a drink and admire views of Table Mountain. The shops are open from 09:00 – 21:00 7 days a week. 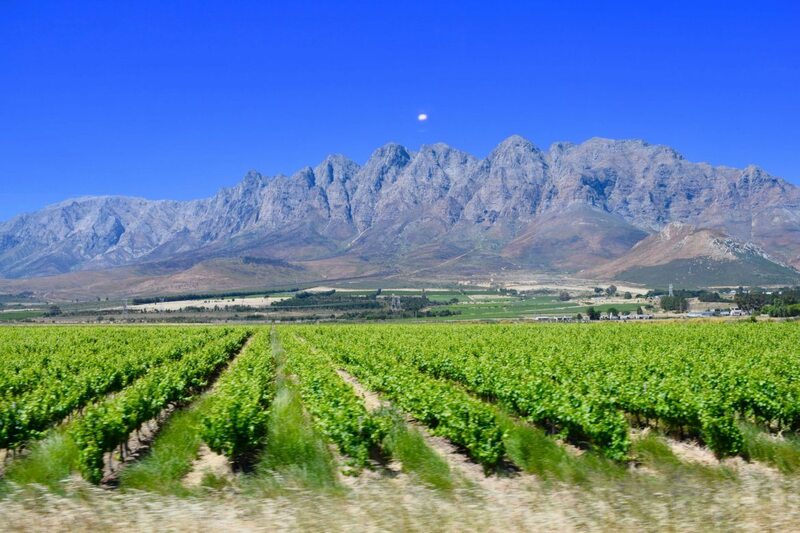 Cape Town produces some of the best wines in the world. At beautiful wine farms such as Groot Constantia, Constantia Glen, Eagle’s Nest, Constantia Mist, Beau Constantia, Constantia Uitsig, Buitenverwachting, and Silvermist you can have lunch and do some wine tasting with amazing views. Now a UNESCO World Heritage site – Robben Island – where Nelson Mandela was imprisoned. 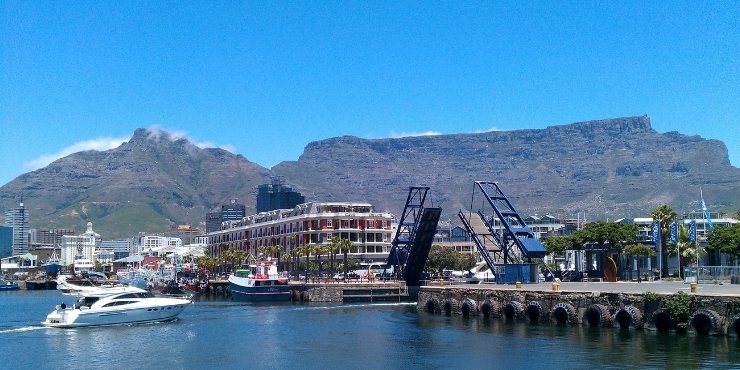 Boat tours leave daily from V&A Waterfront. Do not wait to book tickets. Robben Island is a very popular destination and you don”t want to miss out when you arrive in Cape Town. If you are planning to take a safari at one many of the game parks in the Cape then make sure to consider what to take (and not) to take when planning and packing for your holiday. This great packing guide will help you make the most of your safari! WHAT CRAFT MARKETS ARE THERE IN CAPE TOWN? Route 44 Market – Held every Saturday and Sunday in Stellenbosch. 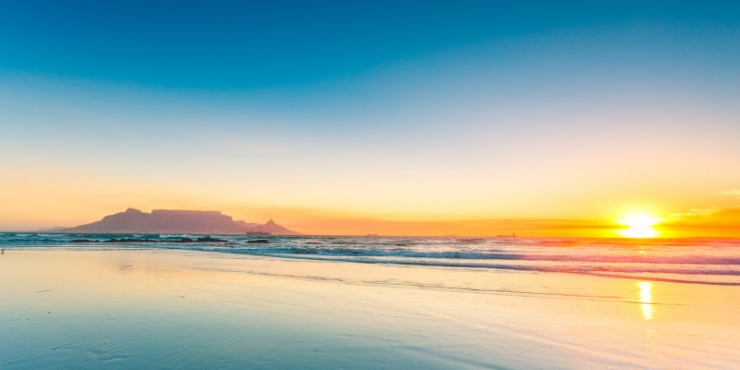 WHICH ARE THE BEST BEACHES IN CAPE TOWN? 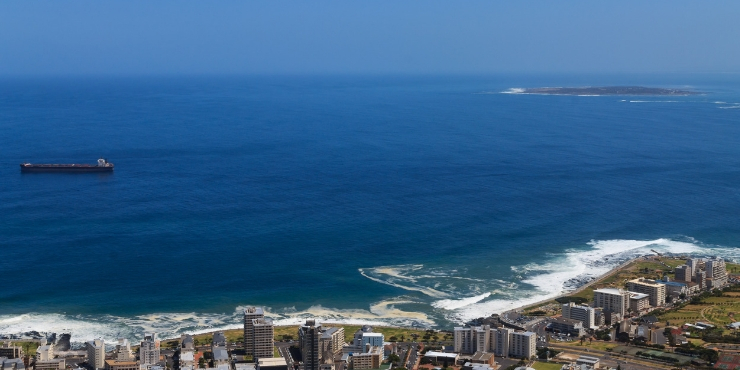 Blouberg Strand – kiting and iconic views of table mountain. Cape Town has some magnificent walking/hiking trails and entry is free to many of them. Have a look at the All Trails website for a comprehensive list. Remember to take plenty of water and sunscreen with you! Seapoint promenade: Fabulous and safe paved walkway alongside the sea in Seapoint where people of all ages can walk, run, cycle, and skateboard. Franschhoek and Stellenbosch are wineland towns an hour from Cape Town and are worthy of a day trip. Each town is rich in history and has lovely shops, award winning restaurants, and excellent wine farms. Wild flowers – if you are visiting Cape Town in August/September, you must go and see the beautiful wild spring flowers on the West Coast. Good viewing places are the West Coast National Park near Langebaan as well as a number of smaller reserves around the town of Darling. Some of the museums are free on the first Thursday evening of each month. See their website for more information. Cape Town International airport is 15 minutes from the city centre. If you are not hiring a car, I recommend that you organise an Uber to collect you from the drop-off zone at the airport to take you to your accommodation as standard taxis are generally very expensive. An excellent way to see the main attractions of Cape Town is the hop-on hop-off red bus . There are 4 different routes – Red City Tour, Yellow Downtown Tour, Blue Mini Peninsula Tour and Purple Wine Tour. CLICK HERE to book tickets for the hop-on hop-off red bus! Uber taxis are an easy and cost-effective way of getting around, especially at night. It is recommended to hire a car if you wish to travel outside of Cape Town to towns such as Stellenbosch and Franschhoek which are an hour’s drive. Driving is on the left side of the road. There are parkades at shopping malls and the V&A Waterfront which charge a reasonable hourly rate. Parking on the street is allowed in most areas and informal parking attendants are tipped R5 – R10. Be careful when driving – there may be more on the roads than just traffic!! safarinow.com is an excellent site for B&B and self-catering accommodation to suit all budgets. Airbnb is becoming increasingly popular. Food markets are upmarket, trendy, hip, and extremely popular in Cape Town. They are great places to stock up on quality organic fruit, vegetables, cheese, free-range meat, honey, artisan breads etc and also to enjoy a tasty breakfast/lunch with barista coffee or a glass of wine or craft beer. Lourensford Market is held every Sunday at Lourensford Wine Estate in Somerset West. The Hout Bay Harbour Market is open on Friday evenings, and all day on Saturdays and Sunday’s for quality food and crafts. Best fish and chips – Mariner’s Wharf Hout Bay Harbour. Long Street in central Cape Town is a hip and trendy place to go for a night out. It is packed with restaurants and night clubs. If you would like to try something different, I highly recommend Addis restaurant in Long Street which sells traditional Ethiopian cuisine. The food is delicious! Tips – restaurant and bar staff are generally tipped 10 – 15% of the total bill. The summer is hot and dry with temperatures reaching as high as 37 degrees and the winters are cold and wet. Cape Town gets extremely busy in December as many South Africans from other cities visit at this time. The best time to visit Cape Town is in Spring or Autumn. The climate is warm and sunny during these seasons with occasional rainfall. If you are planning your trip this 2 week South African itinerary is a great starting point. As with all major cities, it is best to avoid walking along quiet streets at night. It is safer to go on walking trails in small groups and do not take any valuables. Do not flash cash or jewellery and keep electronic devices such as mobile phones and tablets hidden in your bag in public places and when using public transport. 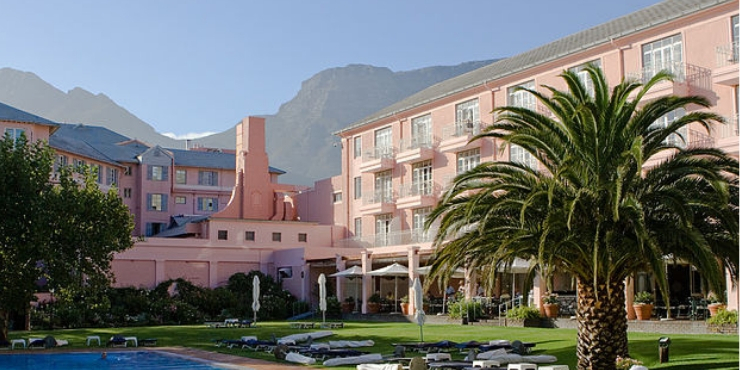 A huge thank-you to my friend Marie for completing this “insider guide to Cape Town” for me! Marie and I have been friends for nearly 37 years and were best friends in the last few years of secondary school. For me, the best thing about Cape Town is the striking natural beauty of the sea and the mountains. It has some of the most dramatic scenery in the world and some beautiful beaches and walking trails. It is also a bustling cosmopolitan city and many people from the UK and Germany have settled here which gives it an international flavour. The shops and restaurants in Cape Town are world class. Great post Tracy I think this is helping to persuade Mark to put South Africa on the bucket list ? Excellent Linda – it is an amazing country! I love the sound of the tree top walk in the gardens. And the wine, obviously. Sounds like a fab city! No wonder you’re homesick Tracy. you need to visit Ari!!! I’m so happy for stumbling over your interview with Marie, Tracy. Cape Town has been on my list for such a long time and I hope to see it soon. Getting first hand information about it is priceless. Thank you for it. Fantastic Anda – I hope you visit soon as it is an absolutely amazing place. 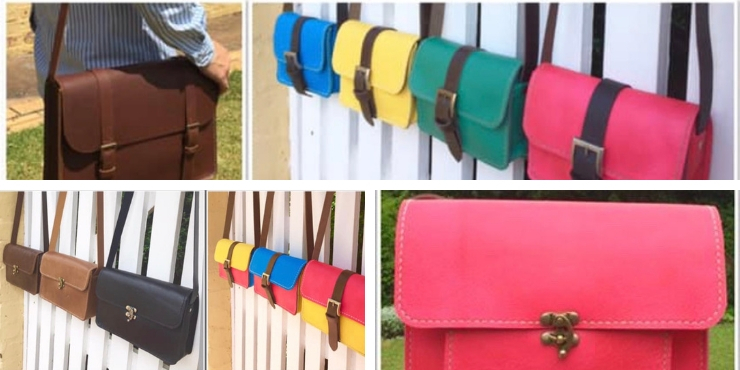 They are beautiful bags – I have quite a few!! This is a very comprehensive list – thank you to you and your friend! The walking trails and beaches look fab. My husband travels to Cape Town a few times year for work and we plan for me and the kids to join him on one of his trips. Oh enjoy it when you go! Cape Town is an amazing place to visit and I am sure you and your family will love it! Thank you for this great guide! I love CapeTown and its great to get some insider tips – am following you on pinterest now! Thanks Jo! Marie’s guide is a must for anyone planning a trip to Cape Town! It (and the penguins) are worth a visit! Me too! I have yet to visit Robben Island and am going to make it top of my list next time. 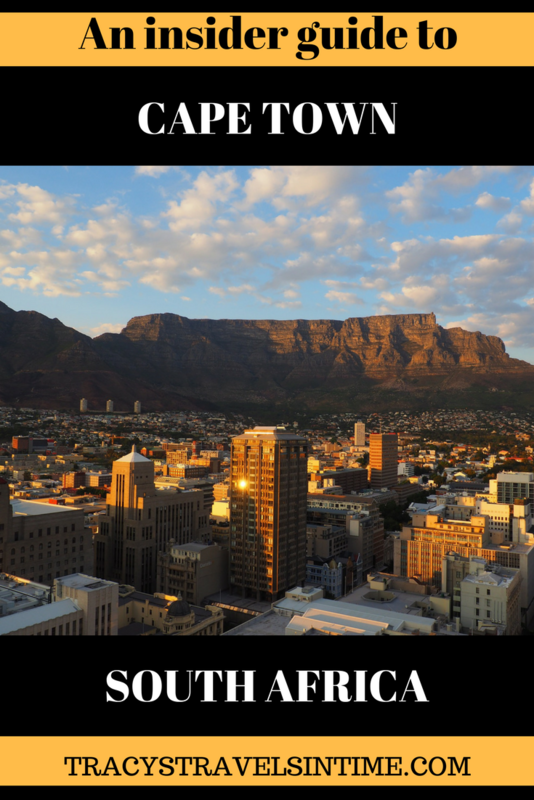 It’s a really good post – Cape Town is lovely and I am sure you will love it. I love it – I could visit it every year (perhaps live there for a while one day – house sitting perhaps!) The wines are lovely aren’t they! 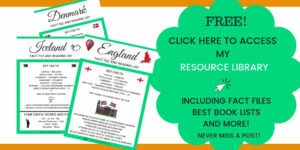 Thanks Kat so glad you found it helpful – its a really excellent guide. Definitely plan to go as it is really fab! It’s a wonderful destination. I hope you get there soon and experience it at first-hand. Enjoy! What a lot of really useful tips from a local! 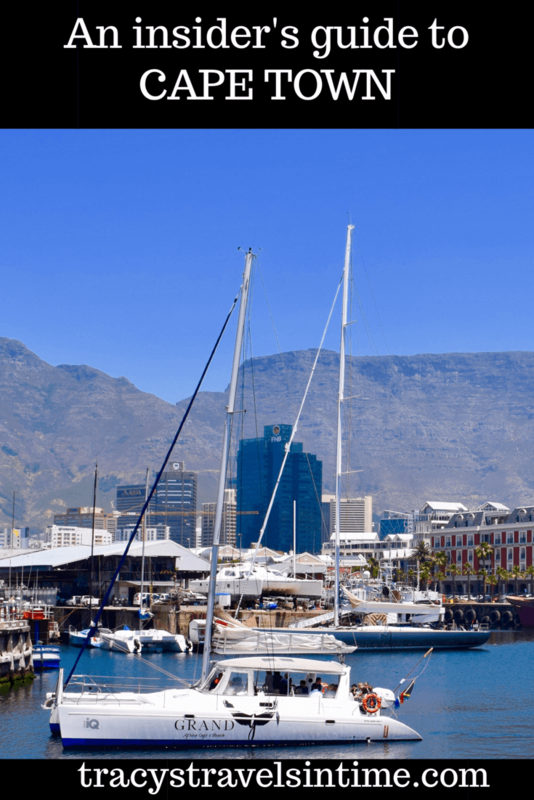 I loved everything about Cape Town, except when I got robbed at gunpoint… but I’d still go back! Oh no Natasha how awful?? Glad it hasn’t put you off and that you would go back. I love love love Cape Town! I wish I had an “in” like this when I went, though. I didn’t have much time and didn’t prepare enough, so there is definitely a lot I missed. Saving this for when I plan my next trip there! I love Cape Town too its such an amazing place. I am lucky to have great friends all over the world who have agreed to be interviewed by me! Marie’s guide to CT is invaluable I think! It really is a fabulous destination Van – with good all year round weather too. Thank you Marta – its a great post! Her bags are really gorgeous. It is an amazing country Kat – so much to offer visitors. Thank-you. There are a number of posts on my blog now from my friends – Australia and Canada included so far. What an amazing guide! I always love a local guide and South Africa is super high on my list. Bookmarked. The Kirstenbosch gardens as well as Table mountain look amazing–and I definitely plan on doing both when I visit! I can’t wait to see it for myself. Amazing views (and photos by the way), South Africa is definitely on my list of places to visit – my South African colleague kept asking to go! Love those gorgeous mountains in Kirstenboch Gardens. It is definitely a wonderful place to visit – I think you should take up your colleagues invite! 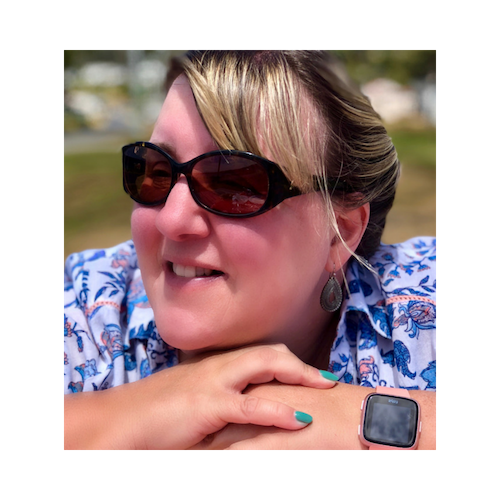 Thanks Elizabeth – you definitely need to visit Cape Town I am sure you will love it! A great post with so much practical info. Definitely saving it for our next trip. We saw and done a lot from this list, but tips from a local are always very welcome. This post made me miss South Africa so much. Favourite place in the whole world! Thanks Phoebe – enjoy it when you get there it is a great destination! I thoroughly enjoyed Cape Town when I was there even if it was only for a few days. The views on top of Table Mountain are splendid! Love reading this as it brings me back to my travel experience there. It is a lovely city isn’t it. Thanks for commenting. Cape Town seems really great ! 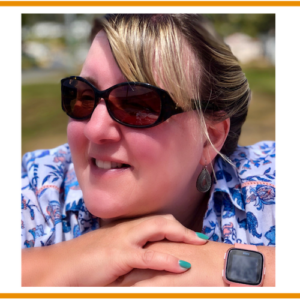 Thanks Coralie – it really does have everything! Wow so much great information!! Thanks for sharing this 🙂 will save for later for when I go!! I have yet to get to Robben Island – next time! Wow Cape Town looks beautiful! There are mountains in literally every photo. I love that there is mountain & water, which is a rare find. I’d love to visit one day. It is lovely. Thanks Katy! Great guide! Covers pretty much everything that my friends recommended to me! It’s a really comprehensive guide. Hope you get to Cape Town it is amazing! Thanks Lisa – yes it is a city worth quite a few visits! This is brilliant, love all these comprehensive tips, and great timing as we’re thinking of visiting South Africa in September, Do you think we would see the penguins you mention on Boulders Beach in September? The penguins are there all year round so yes you will be able to! They are very cute! Such a useful guide! South Africa gain its place on my bucket list with those lovely and funny penguins, and with the incredible views! Thank you for sharing all these local tips! That’s great news – if we can inspire more people to visit this amazing country both myself and Marie would be very pleased! What a wonderful guide full of great tips! South Africa has been on my wish list for a very long time. We’d love to go to Cape Town soon. It looks so beautiful! It really is wonderful Mary – hope you get to visit soon! I really want to go to Capetown! I really like the natural beauty too and I want to go visit some of the vineyards. So nice to have tips from a local! Thanks for sharing on #TheWeeklyPostcard. Absolutely dying to visit Cape Town! Well – South Africa in general 🙂 Love that your friend took the time to share all these incredible insider tips. It is great! Definitely will help when planning! Wow this is a fantastic guide, Cape Town is on my travel list but not sure if we will make it this year 🙁 It looks amazing and how fantastic would it be to come across some monkeys having lunch in the middle of the road! I also didn’t realise how may penguins there are, cuteeee! You have quite a busy year already Katie but i hope you will get there soon! Great information. I made sure to Pin it as well so I can refer back to it when really start our trip planning. Hoping to go there this November. Enjoy! Cape Town will be lovely in November! I adore those South African penguins! Thanks for linking up with #wkendtravelinspiration! To be honest I haven’t previously given Cape Town a thought as a travel destination, but after reading this I am very keen to visit. I love mountains so find that very appealing and I also really enjoy hiking trails. Thank you to Marie for her great insider knowledge. It is an amazing destination Sam – so glad we have inspired you to visit! Great local tips in this post. I cannot believe I haven’t crossed South Africa of my list yet. I would love to see the penguins ? on the beach, they are such cuties. Gosh, I need more holidays in one year -21 days are not enough! Oana – I know what you mean!So much to see and do! Thanks for the rundown on Capetown. I have never been there before but your blog post seems extensive enough for me to plan a visit. Definitely Rhonda Marie has covered everything! A definite must Carole! I am sure you will love it! It is on my must-visit list for next time Bryna! Thanks for commenting David – it is a great city to visit. I am sure you will love to South Africa. 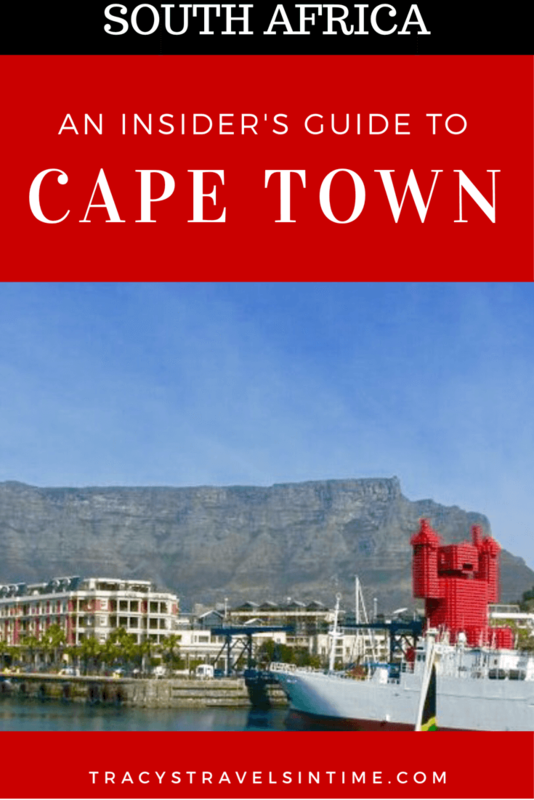 Great idea getting the insider’s guide to Cape Town! This is full of awesome information. The Penguins are so cute! Can’t help go awww! Your guide is really detailed. Thanks for sharing. Enjoy – the shopping is great!! I love this idea of interviewing friends/locals about their view on the city! 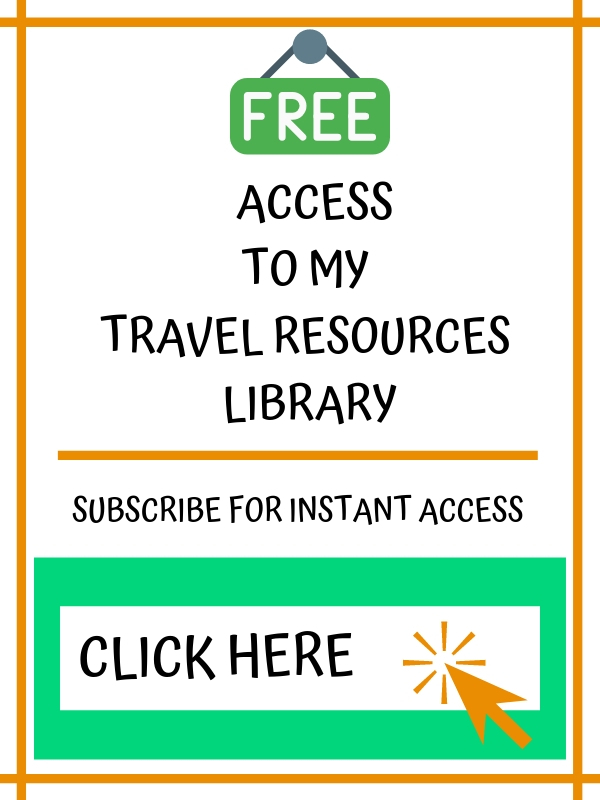 Great recommendations and information for Cape Town for people with all different types of travel styles. Pinned for future reference! Thanks Pam – I have a few interviews on my site and a few more to come (I seem to know people all over the place!) Marie’s is very detailed – makes me want to get on a plane and go right now! Would love to visit South Africa. Beautiful landscapes and lots of wildlife, I’m in. Looks like there are some cool looking hiking places too. There are Lisa – a great place to visit! Wow, this is a really comprehensive guide. I think I would enjoy both the beaches and going up Table Mountain in that cable car. Thanks Michele – both are great! I have been reading and watching movies about Nelson Mandela recently and would love to go and see the country I have heard so much about. There are some great recommendations here and interestingly enough even some places have been named after him. I would like to visit Robben Island and see Table Mountain up close. The abundance of hiking trails is a huge bonus too! Kreete you would absolutely love South Africa – so much to offer visitors and you could get some great hiking in! Hope you get to go soon! Me too – it is definitely on our list when we start our slow travel/housesitting around the world! An awesome guide to Cape Town! I’ve been reading quite a lot about it lately and I definitely want to explore South Africa sooner rather than later! Wow, Cape Town looks amazing! Such a great guide too; detailed and tons of options! I’d love to visit someday! Thanks for joining Fly Away Friday, hope to see you again this week! Thanks Kana! Yes see you this week! This is amazing! I’ve been hearing so many things about Cape Town and want to go so badly. I especially would love to see the penguins and do a safari!! Looks amazing! Cape Town seems like a spectacular destination! Thanks a bunch for the inspiring post! Thanks – it is a fabulous place! I’ve been living in Cape Town for 23 years and this is an excellent post on our beautiful city. Something special to consider is the hike up Lion’s Head, during full moon (especially January) watch the sunset over the Atlantic and the moon rising over the mountains – spectacular! For visitors wanting to go on a Big 5 safari , there’s the Aquila Private Game Reserve aquilasafari.com (2 hours from CT) and Fairy Glen Game Reserve fairyglen.co.za (+- 1 hour’s drive). Thank you Herma! I will definitely make a point of visiting when I am next in the Cape! Great Guide! We spent 3 months there a couple of years ago. After 4 years of travel still the most spectacular place we’ve been. And the wine is frigin fantastic. It sure is!!! Its an amazing place! We lived in Cape Town for 6 years. Totally agree with all of these tips and hints. Miss it so much. Me too! It is a lovely city!